A week after NHL leaders filed in federal court to declare the ever maddening lockout legal and also file a charge of unfair labor practice against the player's union, results are in from a week's long vote amongst NHLPA members to grant it's executive board authority on filing a disclaimer of interest and thus dissolve the union. Players voted overwhelmingly in favor of that motion. It would appear we are further on the brink of nuclear options being enacted by both parties which could see the 2012-'13 campaign in ruins and tie up both sides in various class action suits for months to come. A clause in the league's filings last week was beloved to declare all existing player's contracts null and void in such an event as a disclaimer of interest which would be a sort of apocalypse for the sport. Maybe the Mayans were hockey fans? Here's hoping cooler heads prevail. The NHL yesteday announced the cancelation of yet another set of games through Janurary 14th. Just over half the 2012-'13 season has now been axed and many believe we have entered the red zone for negotioations (if they ever deciede to get back to that). Could January 15th be the start of the new season? 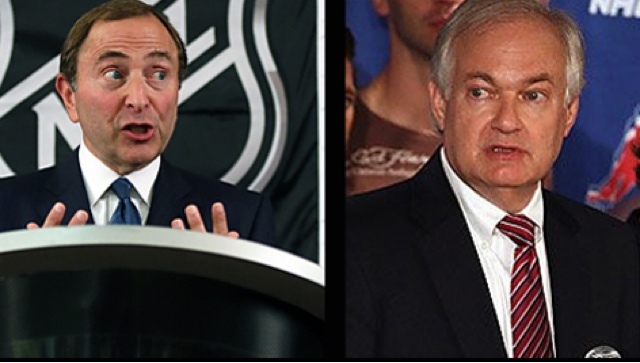 Or the day which sees Canceleor-in-Cheif Gary Bettman finally take to the much maligned NHL podium to annouce Mayan prophesies were true the final termination of this season at whole? Two full season lockouts on ur resume seems like a good way to conduct business. Either way, nobody can take the game from us, no matter where we are. This is our affliction, our life. The Rivals For Relief charity hockey game which was to be played this Saturday at Madison Square Garden has been postponed according to officials involved with the event. A later date for the game has yet to be determined. 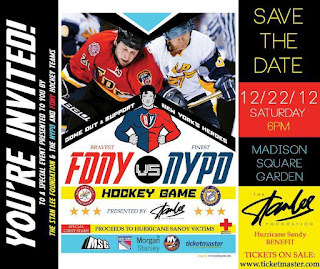 No word on whether Gary Bettman had any involvement in locking out the NYPD/FDNY and various NHL alumni. 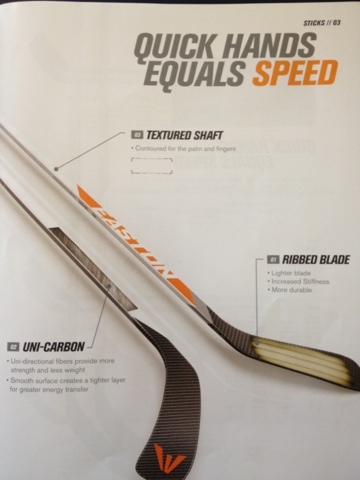 Hockey Boss is now taking pre-orders on the much anticipated Easton Mako 2 stick. 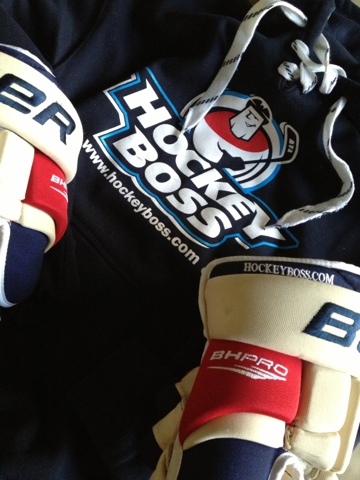 Log onto hockeyboss.com to secure yours today! 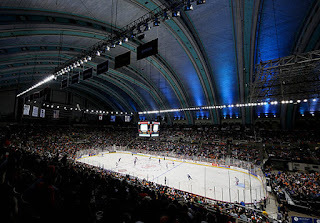 Following the success of the Operation Hat Trick benefit game in Atlantic City a few weeks ago, Madison Square Garden will be hosting Rivals For Relief to again aid those adversely affected in the wake of Hurricane Sandy. 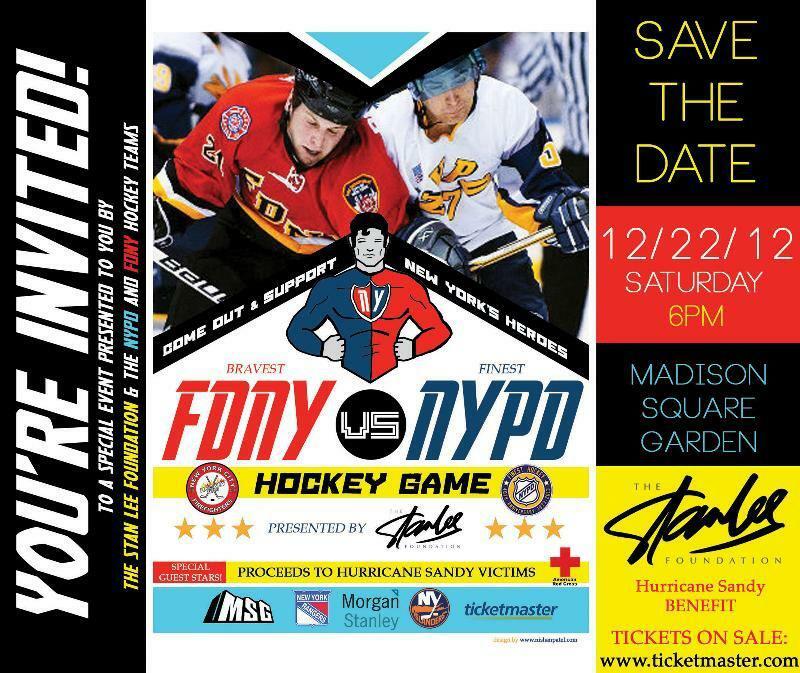 The FDNY will team up with select Rangers alumni to take on the NYPD and Select Islanders alum with a portion of proceeds going to the Red Cross and the Stan Lee Foundation. Tickets range from $25-$250 and can be purchased here. Operation Hat Trick benefit game a rousing success, sequel to be played in Central Park? In this ever maddening world of locked out NHL hockey, any chance to attend a live game fills the crushed hockey fan's void for pro style dangles snipes and celly's. There was all of that and more in Atlantic City on Saturday night as team Richards defeated Team Hartnell 10-6 in an effort to aid those who lost so much in the wake of the destruction caused by Hurricane Sandy. The event, which benefitted the Empire State Relief Fund, the New Jersey Hurricane Relief Fund and the American Red Cross, brought together 11,000 hockey fans to cheer their favorite players for the first time in months, as well as to jeer NHL leadership. Many chants of "WE-WANT-HOCKEY" and "FIRE BETTMAN" rung throughout the arena at Boardwalk Hall in jovial fashion. For an arena packed with Rangers, Flyers, and Devils fans alike, vitriol was set aside for a night to simply celebrate the game we love and help those in need. Henrik Lundqvist stood on his head early and often making 23 saves in the first period alone as he looked to be in well beyond mid-season form and continued to frustrate the Philly faithful. Of the many highlight saves perhaps the biggest was on a Steven Stamkos penalty shot. Devils goaltender Martin Brodeur, playing for Hartnell and team Philadelphia on this night, was not as sharp and was subjected to the familiar "MAARR-TYY" chant from the many Rangers fans in attendance. All in all, a great night for hockey and those greatly in need in the wake of Sandy's destruction. There have already been preliminary talks of staging a simmilar event at Central Park's Lasker Rink, which has seen previous NHL action in the form of team practices by Pittsburgh Philadelphia and Ottawa. With the cancellation of this year's Winter Classic this could be a great way to help others again while enjoying the great outdoor game. one way or another, we all want hockey.